The goods must be used and show evidence of use. The owner of the goods must be in the country when shipment arrives. Original documents should be sent by courier and not through regular mail. All shipments are subject to inspection at the port of entry (POE), Bond Warehouse but due to cargo congestion and the potential for mishandling, the inspection may occur at the owner of the goods’ residence at the time of delivery within Panama City Limits and has an additional cost. This is a special service and mandatory payment by the owner of the goods directly to the government is required. 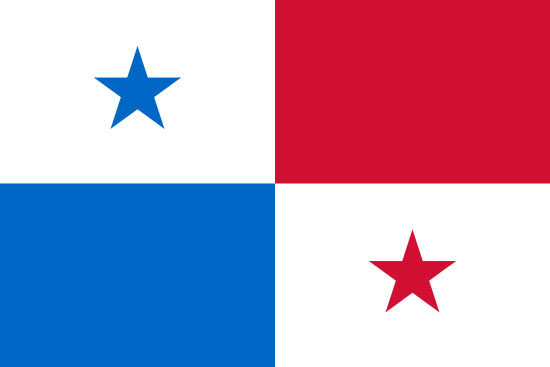 All diplomats and public officials entering the country with a diplomatic or official passport or those arriving with a contract from the Panamanian Government have franchise privileges and will not be subject to the usual inspection or examination of the household goods by Customs; however, fumigation and inspections by quarantine may be required. All shipments containing wooden furniture must obtain an import quarantine permit; agent must receive documents at least 1 week prior to shipment arrival. Wood packing materials coming into Panama must be treated and marked according to ISPM 15. Wood packing materials not treated and appropriately marked may be subject to immediate export or local fumigation incurring in additional charges. The weight of the shipment, number of pieces and the owner of the goods’ passport number must be included on the original bill of lading. The commercial invoice must include the serial number, branch for electronic items, type, and material of each item listed. Personal effects should arrive within 6 months after the owner of the goods’ arrival date; only two shipments within this period are permitted. Do not include prohibited articles such as food, alcohol, firearms, ammunitions, drugs, etc. in the shipment. Returning Panamanians, working visa, friendly nations visa, retiree / pensionado / jubilado, investor visa, diplomats, reforestation visa, self-solvency are permitted of used household good and personal effects free of duties and taxes. Panamanian citizens returning to the country, after having lived abroad for no less than two years, can import free of tax on used household goods and personal effects. New household goods are subject to import duties of approximately 25% based on the cost, insurance, and freight (CIF) value. Non - citizens must go to the immigration office before the shipment arrives to port to obtain a working visa. Can take up to five months to process. Vehicle temporary permits are prohibited. All automobiles imported to Panama are subject to taxes of approximately 30% based on a Panamanian Customs Authorities appraisal plus shipping costs and insurance. Original retirement letter from the previous working entity or the Government, stamped by the Panamanian Consulate at origin, translated in Spanish (pensionado / jubilado visa holders). Pensionados or jubilados can apply for a partial exemption with a permanent pensionado carnet. Motor vehicles belonging to accredited diplomats, members of international organizations, or U.S. contractors are free of duties and taxes (1 vehicle only). The veterinary health certificate must include vaccinations, be issued by a veterinarian in the origin country and be valid for a period of 10 days; it must be stamped by the Ministry of Agriculture and submitted to the Panamanian Consulate to be processed. The pet must arrive between 9:00 am to 3:00 pm, Monday through Friday. Pets arriving at other times will have to stay until the next business day; it may be possible to make arrangements with the veterinarian at the airport for flights arriving after 2:00 pm, Monday through Friday for an additional cost.